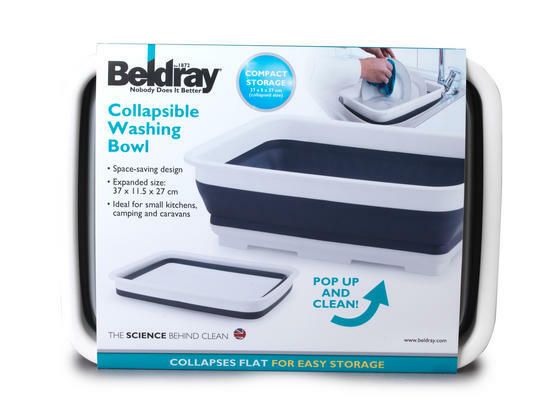 When space is at a premium, this Beldray collapsible bowl is an essential multipurpose item. 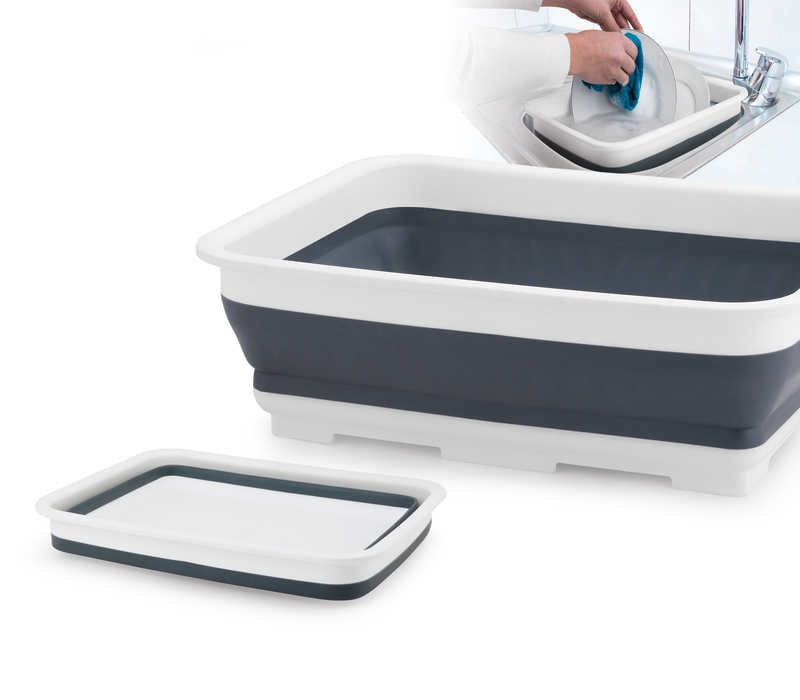 Cleverly designed with durable plastic that is completely break resistant, the bowl is practical and strong whilst also being incredibly flexible and easy to unfold or collapse. Measuring at just 27.5 x 37.5 cm, when collapsed the bowl is compact enough to fit under the sink, in your car boot or kitchen cupboard. Ideal for campers and homeowners alike, this small but strong bowl is an everyday essential. A simple solution when you are in need of saving space, after using this Beldray bowl it can be folded away for storage in seconds. With a generous capacity when unfolded, the bowl is deep enough to hold plenty of water and has a strong base for guaranteed support. 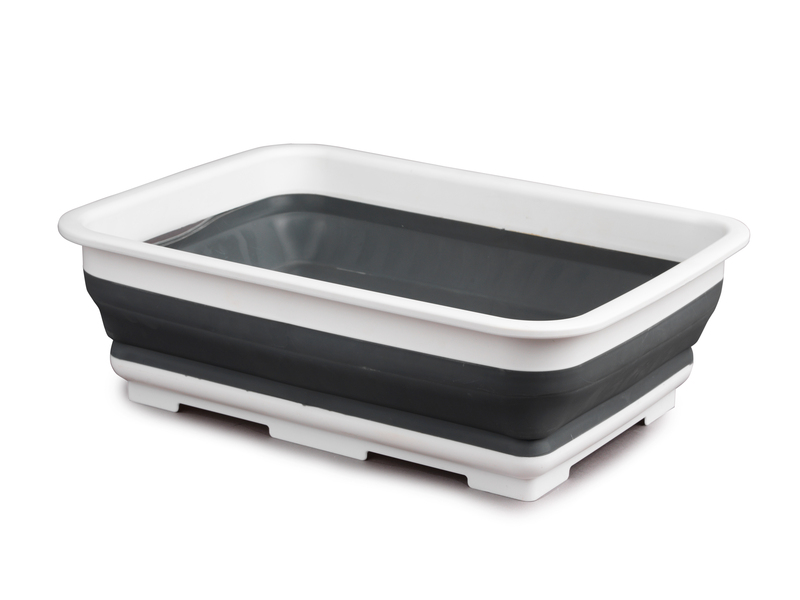 An essential for camping or caravanning, this bowl can be used for washing clothes, dishes and more whilst taking up minimal space. Perfect for cleaning windows, washing cars or cleaning decking outside and simply wipe the plastic bowl clean after using outdoors. No need for a cleaning cupboard to store away this collapsible bowl – it conveniently folds down to fit in the smallest of spaces.